Although stingless bees do not have a sting to fend off enemies, they are nonetheless able to defend their hives against attacks. Only four years ago it was discovered that a Brazilian bee species, the Jatai bee, has a soldier caste. The slightly larger fighters guard the entrance to the nest and grip intruders with their powerful mandibles in the event of an attack. Working in collaboration with Brazilian researchers at the University of São Paulo and Embrapa in Belém, biologists at Johannes Gutenberg University Mainz (JGU) managed to identify four further species which produce a special soldier caste to defend their nests. "This is therefore not a solitary case, as it seems there is an astounding variety of social organization among other stingless honey bees," said Dr. Christoph Grüter of Mainz University. The scientists had examined a total of 28 different species from entirely different habitats in Brazil. There are more than 500 species of stingless honey bees worldwide, 400 of them in Brazil alone. They form highly social societies with a queen and collect pollen in the same way as European honeybees. 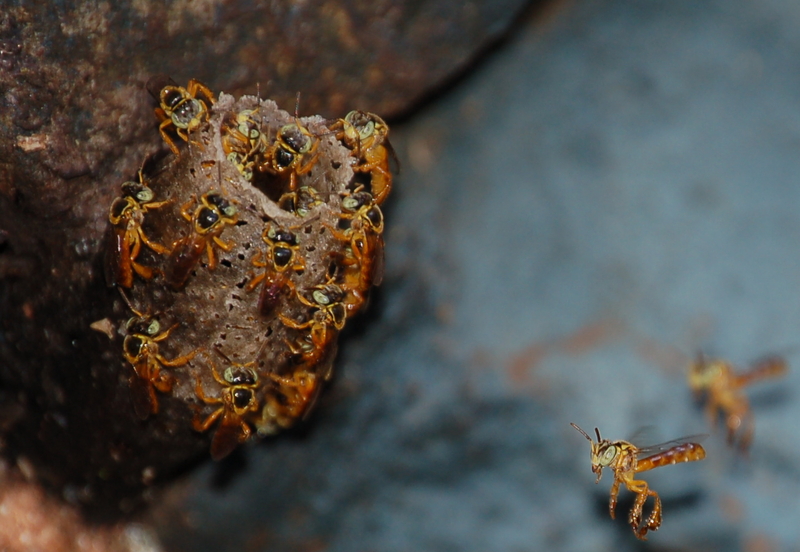 Many of the stingless bee species, however, are helplessly exposed to attacks by robbers. These robber bees, which also belong to the stingless bees, have given up foraging for pollen or nectar themselves. Instead, they invade the nests of other bees and steal their honey and pollen, even wax and brood food. 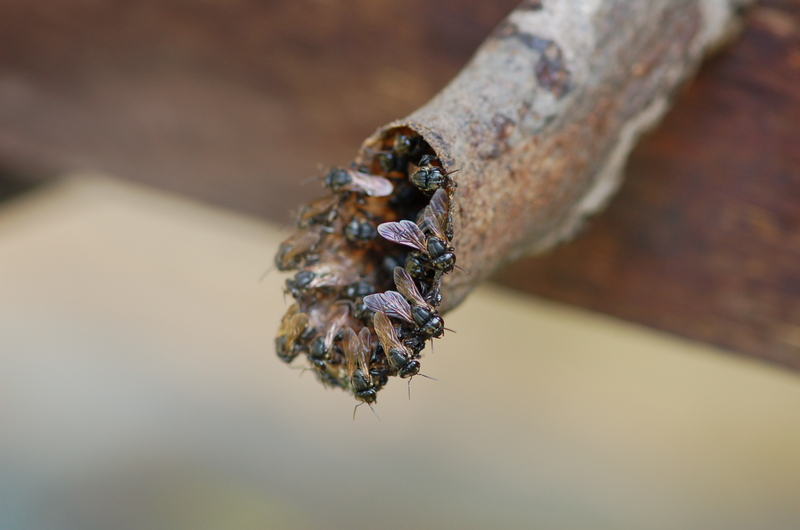 In 2012, however, Dr. Christoph Grüter and his colleagues discovered for the first time that parasitic robbers encounter difficulties when they assault a Jatai bee (Tetragonisca angustula) colony. The nest entrance is protected by guard bees which are larger than the hive’s other worker bees. "Meanwhile we have established that the hive guards of a number of species out of the total of 28 we examined are larger than other worker bees. These soldiers are between 10 to 30 percent larger than the pollen foragers of the same colony," explained Grüter, adding that larger guards are better fighters. Evolutionary biologists found large guard bees mainly in species that are subject to frequent attacks. The authors postulate that attacks by robbers are the driving force behind the evolution of a special caste among the worker bees and therefore represent the factor that has resulted in this more marked division of labor. "We were able to clearly link the activity of robber bees to the evolution of these soldiers," clarified Grüter. Analyses showed that such a differentiation among worker bees has occurred at least five times in the last 25 million years hand in hand with the appearance of parasitic robber bees. Based on their findings, the team of researchers from Mainz and Brazil were able to publish a further new discovery. To date, it has been assumed that the division of labor among bees is determined primarily by age. Young bees take care of cleaning the nest and feeding the larvae. As they get older they move closer to the nest exit, from where they depart on foraging expeditions in search of food. It is a different matter with soldier bees. They are larger than their nest comrades from the moment they hatch, which means the division of labor in a hive is not dictated solely by the age of the insects but also by their morphology. 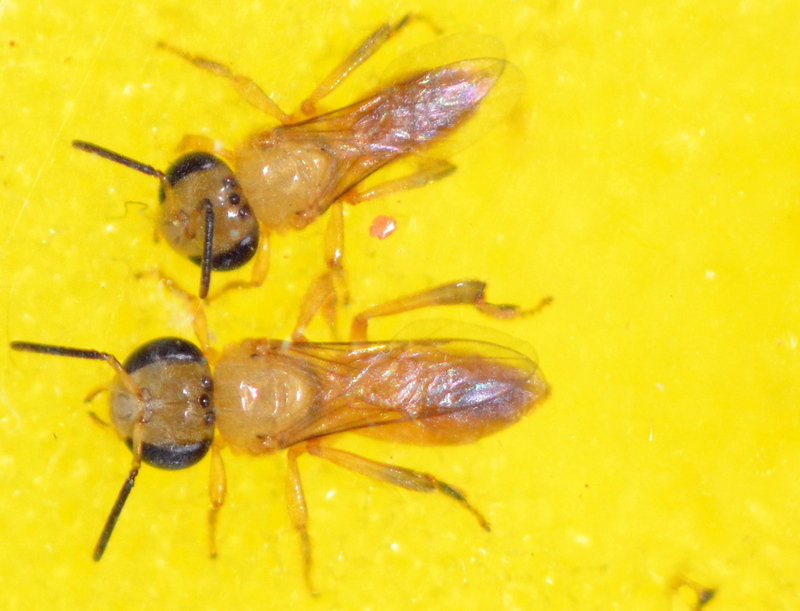 A soldier bee of the species Tetragonisca angustula (bottom) next to a forager from the same hive. The photo was taken shortly after hatching, which is why the bees are still without pigmentation.